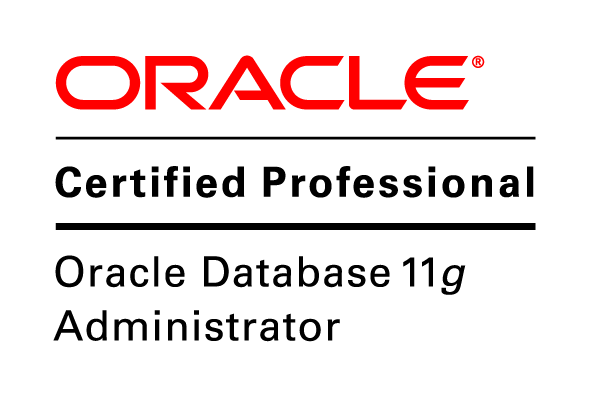 I’m a 25 year old DBA exploring all things Oracle! There are no small changes when you’re committed to delivering quality software. Let’s look at the above case. A naïve programmer may well get this coded in three minutes—after all it’s just an if-statement. A background in consulting, where you are paid for your time, teaches you to ask a few questions before proceeding with ‘small changes’. Let’s start with some easy questions. What happens when the review is above 140 characters? Do we crop the string, or display an error message to the user? If we display an error, where does it appear? What does it say? Who is going to write the error message? How do we explain to the user why we’re limiting them to 140 characters? How will these errors look? Do we have a style defined? If not, who is designing it? Who is going to write this character counter? If we’re using one we found on the net, then who wants to test it in our target browsers (i.e. not just Chrome 27 and beyond). Also, where is the count of letters displayed on the screen? What does the count look like? Of course, the style should change as the user approaches zero characters, and should definitely look erroneous when they’ve used more than 140 characters—or should it stop accepting input at that point? If so, what happens when they paste something in? Should we let them edit it down, or alert them? When we’ve implemented the character counter, styled all the errors, implemented the server-side validations, and checked it in all of our supported browsers then it’s just a case of writing tests for it and then deploying it. Assuming your time to production is solid, this bit will be straightforward. All of this happily ignores the fact that users will wonder why someone wrote an eighty word review just before them and now they’re only allowed write a 140 character one. Obviously we’ll need to keep support in the loop on this, and update our documentation, API, iPhone, and Android apps. Also, what do we do with all the previous reviews? Should we crop them, or leave them as is? Don’t get me started on how we’re gonna deal with all the funky characters that people use these days… good luck sending them in a text message. We’ll probably need to sanitize the input string of rogue characters, and this means new error messages, new server-side code… the list goes on. Once you get through all of this you will have your feature in place, and this is just for a character count. Now try something that’s more complex than an if-statement. There are no tiny features when you’re doing things properly. This is why as a UX designer you need a good understanding of what it takes to implement a feature before you nod your head and write another bullet point. Yes, this was a rant. Yes, most of the above decisions can be made on the fly by experienced developers, but not all of them. Yes, you can use maxlength, but this only addresses one of the points above, and even then only in an HTML5 context. Often what seems like a two minute job can often turn into a two hour job when the bigger picture isn’t considered. Features that seemed like ‘good value’ at a two minute estimate are rightfully out of scope at two hours. Key point: Scope grows in minutes, not months. Look after the minutes, and the months take care of themselves. Agreeing to features is deceptively easy. Coding them rarely is. Maintaining them can be a nightmare. When you’re striving for quality, there are no small changes. Red means stop, green means go… snow means…? One more example to remind you that there is no such thing as a “small” change. LED lights are an excellent lighting solution due to their longevity and power efficiency. Replace all traffic lights with LED lights, “small” change right? Wrong. It turns out that they may not be the best choice in all conditions. Normally, the excess heat generated by incandescent bulbs is enough to melt the snow off lights so that they remain visible even in freezing conditions. Traffic lights that employ LED lighting, while far more power efficient and reliable than older ones, aren’t able to melt the snow that accumulates. Snow blocking traffic signals is a significant problem as it has already led to dozens of accidents and at least one fatality.